Migraine? Take a pill. Back Pain? Take a pill. Whiplash? Here is a prescription, take two a day. Arthritis? Take a steroid and pain meds to limit symptoms. Oxycodone, Morphine, Hydrocodone, Tramadol, Fentanyl, Heroine. Our system treats symptoms with medications, and can help with pain. That is official… these medications are effective at alleviating pain. The long term effects and chain of events that can take place is what is scary. Nothing makes me happier than having a chronic pain client get relief from cryotherapy, and we see it often. So often, sadly, we are peoples last resort. They try surgeries, medications, anti-inflammatories, and more in an attempt to get relief from chronic pain. Opioids are wreaking havoc on our people, and I am so proud to be a part of something that can help. One of our amazing Halo Cryotherapy team members, Lindsey, is a Grad student who studied how Opioid abuse impacts our society, as well as how Cryotherapy has helped people with chronic pain get relief. Read her paper below, and share it with anyone you know who may struggle with daily pain or opioid issues. Also, share it with Doctors so that we help provide options other than just a pen and pad. With over 25 million people suffering from chronic pain, it makes sense that opioid misuse has been increasing significantly in past years (Nahin, 2015). Americans have been conditioned to seek out the help of drugs when physical pain or discomfort arises. Although opioids may create some relief, the cost of this alleviation may be much higher than one may initially realize. The DAWN (Drug Abuse Warning Network) Report states that 25% of those who are given a long term opioid prescription for noncancer pain are shown to struggle with becoming addicted to them (SAMHSA, 2013). Political and healthcare leaders have been addressing this issue frequently throughout the last year or so, but statistics from the Center for Disease Control show that over 42,000 people died from opioids in 2016, which is a 28% increase from 2015 (Ingraham, 2017). Notably, one of these 42,000 was legendary musician Prince, joining a long list of celebrities who have opioid-related deaths, including Tom Petty, Chris Farley, and Heath Ledger. With opioid addiction increasing at an alarmingly high rate, there’s no question that this issue needs to be addressed and changes to current healthcare normalities must happen soon. The current state of opioid abuse is worse than it’s ever been, and trends show it will only be getting worse unless dramatic changes are made. Opioid addiction and misuse has become such a major problem in the United States that it is now being addressed as an epidemic. Furthermore, from 1997 to 2011, those pursuing treatment for opioid dependency heightened by 900% (Kolodny et al., 2015). From 2002 through 2014, the National Institute of Drug Abuse states that over 280,000 Americans have died from opioid-related overdoses (NIDA, 2017). Opioids have been shown to have an addictive quality that creates a dependency among those patients who are prescribed long term opioid regimens. Studies have addressed the benefits seen from short term opioid prescription, however, the dependency formed will lead to prescription refills and dosage increases. 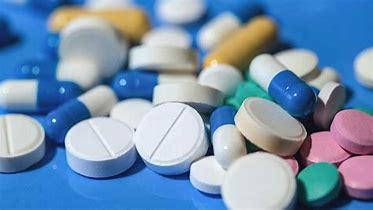 A review of the current prescription normalities shows that prescription rates of more powerful opioids have increase 4.5 times in recent years (Franklin et al., 2011). One up and coming method of pain management is cryotherapy. Cryotherapy was developed in Japan to treat arthritis and was just recently brought to the United States. This form of therapy uses nitrogen vapor at temperatures as low as -250℉ to cool the skin. This dramatic drop in temperature triggers an emergency response within the body to bring oxygenated blood to the muscles. This increased supply of nutrient rich blood helps muscles recover faster, flushes out inflammation and prevents inflammation from returning. This is due to the reduction in pro-inflammatory cytokines IL-8 and IL-2 and a increase in anti-inflammatory cytokine IL-10 (Giuseppe, 2009). A recent article examining the results seen from whole body cryotherapy provide six studies that all showed decreased pain in patients, as well as a few more studies claiming increased mobility and quality of life (Bouzigon, Grappe, Ravier, & Dugue, 2016). Cryotherapy promotes the release of endorphins, which are neurotransmitters released by the brain, creating improved mood and even a perceived “high”. Research shows that improvements in pain have been contributed to this increased endorphin release, creating a reduced perception of pain in our brains (Miller, 2006). Cryotherapy is a quick, safe, and most importantly, non addictive method of obtaining this endorphin rush. As the science shows that cryotherapy is an effective alternative to opioids, patients have also reported that the feel physical reductions in pain as well. In one study, when surveyed before and after whole-body cryotherapy, patients ranked their pain on a scale from 1-10. Before treatment, the average reported was a 6.9, where as after 20 whole-body treatments, the average between the patients was recorded at a mere 2. Not only was the pain reduced after these treatments, but two weeks after treatment ended, patients pain level was still only at a 2.3 (Miller, 2006). Overall, the trends of this opioid epidemic have been increasing exponentially. If significant adjustments to prescription and treatment standards are not made, the healthcare sector will be admitting some morbid, and not to mention expensive, patients facing serious addiction issues. Introducing new treatment methods, such as cryotherapy, as well as creating effective prevention and awareness programs will help reduce the amount of patients susceptible to abusing their medication. If these solutions are implemented correctly there will be a significant reduction in opioid prescriptions per person, reducing potential overdoses, preventing patient addiction and decrease costs of treatment to the entire healthcare sector. Opioids have proved to create more problems than they do benefits for their patients. Banfi, Giuseppe, et al. “Effects of Whole-Body cryotherapy on Serum Mediators of Inflammation and Serum Muscle Enzymes in Athletes.” Journal of Thermal Biology, vol. 34, no. 2, 2009, pp. 55–59., doi:10.1016/j.jtherbio.2008.10.003. Miller, Elżbieta “Comparison of e ectiveness local and whole body cryotherapy in chronic pain,” Polish Journal of Philosophy, vol. 1, no. 4, pp. 6:27–6:31, 2006. National Institute on Drug Abuse. “Overdose Death Rates.” National Institute of Health, 15 Sept. 2017, www.drugabuse.gov/related-topics/trends-statistics/overdose-death-rates. Substance Abuse and Mental Health Services Administration, Center for Behavioral Health Statistics and Quality (2013). The DAWN Report: Highlights of the 2011 Drug Abuse Warning Network (DAWN) findings on drug-related emergency department visits. Rockville, MD.